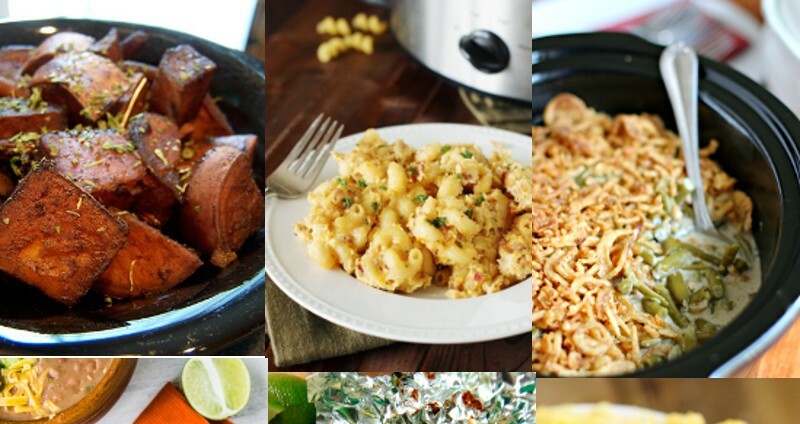 Find 44 of the BEST Crock Pot Soup recipes to cook and snuggle up with this cold season. 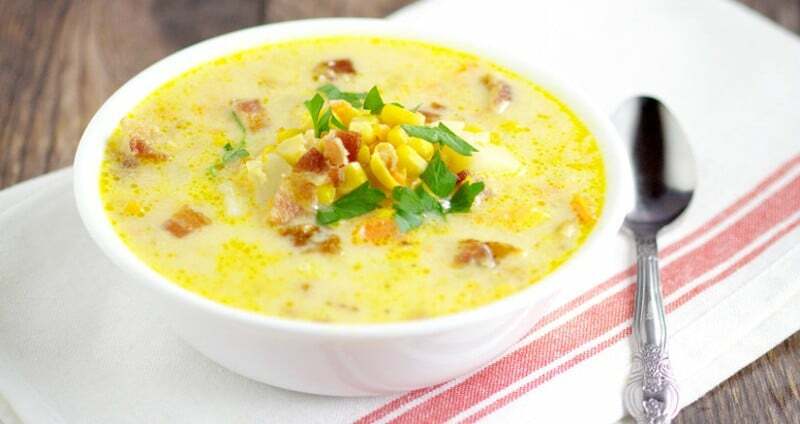 From creamy, cheesy chowders to chunky, hearty stews, there’s something for everyone! Who else has that Crock Pot nice and broken in by now?! It’s totally slow cooking weather, and I love using mine during the school year because it makes dinner so much less stressful. And I can spend that time talking to my kids and helping them with homework rather than running around trying to prep dinner. Even better is soup in the Crock Pot. There’s really nothing better than sitting down with a nice big bowl of warm soup and crusty bread after a long, cold day. So making soup in the Crock Pot? That’s just heaven, right there. I’m looking forward to soup for dinner all the way until next Summer, so I’ve gathered up 44 of the best Crock Pot Soup Recipes to cook in the slow cooker and snuggle up with. 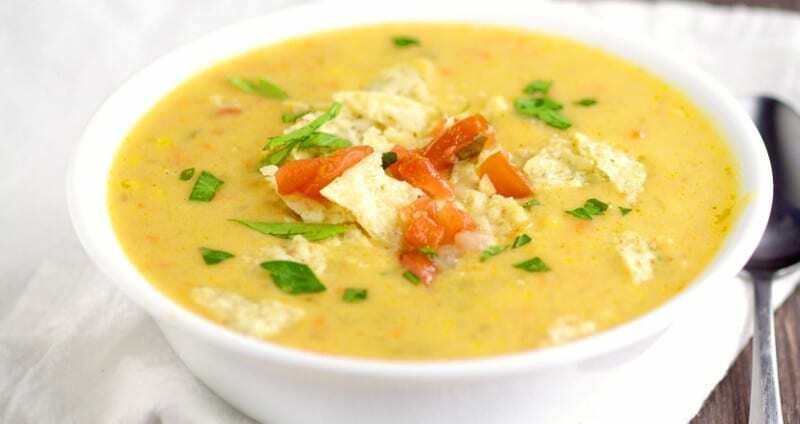 Click on the corresponding link to see the full soup recipe. 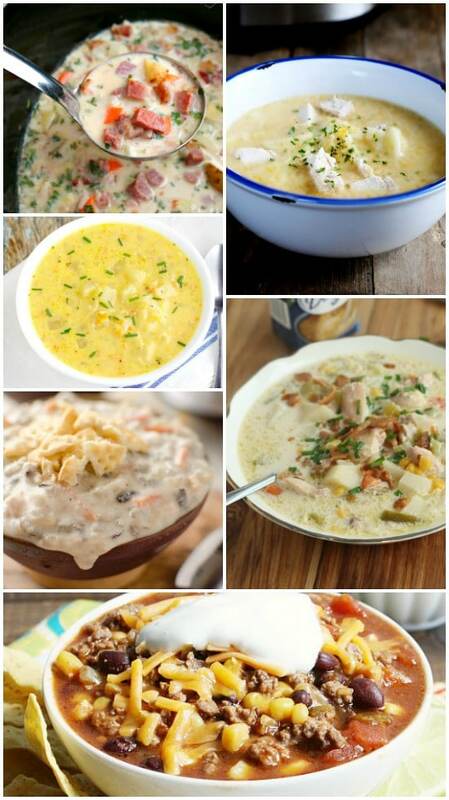 Did you like these Crock Pot Soup Recipes? Find more on my Crockpot and Soups boards on Pinterest! 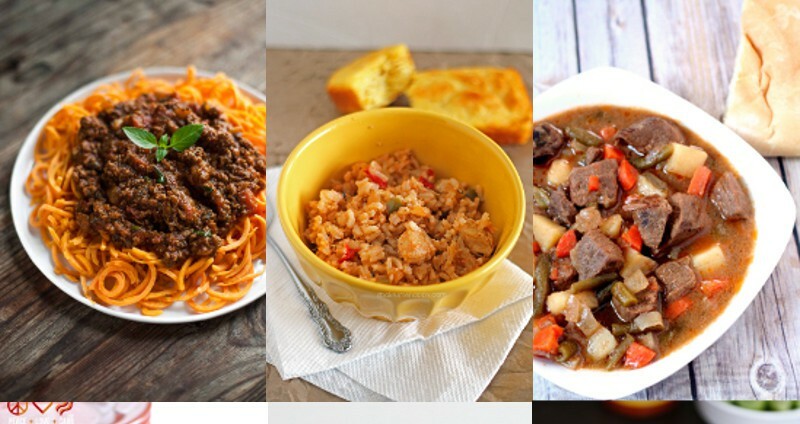 Thanks for including my recipe with this fabulous round up of slow cooker recipes. You’re welcome! I’m happy to include it!